Home > News & Articles > Olive Oil Exhibitions & Trade Shows > OLIVE JAPAN 2014 Trade Show Finished with Great Success! The OLIVE JAPAN International Extra Virgin Olive Oil Competition is one of the premier olive oil competitions in the world, bringing together the highest standards of integrity and professionalism in awarding medals to the best oils from around the globe. 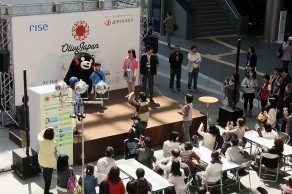 Competition’s a key program in the “OLIVE JAPAN 2014” was trade show and winners were prized at the main event of this trade show,carrion lusher in major trade magazines. 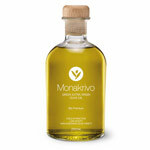 The competition was committed to educating the public about extra virgin olive oil, featuring industry experts with extensive knowledge about selection, tasting and food pairings. 14 PREMIER Medal Winners, 149 GOLD Medal Winners, and 92 SILVER Medal Winners, through the strict judge among total 400 registrations. The “Olive Oil Sommelier” is a qualified specialist of olive oil with enough knowledge of its history, cultivars (varieties), growing, milling and food pairing as well as technical capability in sensory evaluation. The Olive Oil Sommelier Association of Japan (OSAJ) has operated the Olive Oil Sommelier School since 2009, and today there are over 900 Junior Sommelier graduates, 250 Olive Oil Sommelier advanced course graduates and 20 Master Sommelier graduates. For those Olive Oil Sommelier graduates, as well as other qualified candidates, OLIVE JAPAN 2014 organized the first annual “Sommelier Concours” so that they may test their technical capability of sensory analysis in competition against their peers and earn the chance to claim the award of No.1 Olive Oil Sommelier in Japan for 2014. Olive Japan is organized by the Olive Oil Sommelier Association of Japan (OSAJ), Japan’s sole professional organization for training and certifying olive oil experts. OSAJ is an independent organization which is free from any commercial or governmental body in the olive industry. Over 850 Japanese Olive Oil Sommeliers have been certified since its founding in 2009.